“Rajiv Kumar is a public servant and ideally should not have made such a statement which is seen as working to the BJP’s advantage. His comments have been sought,” said a source. 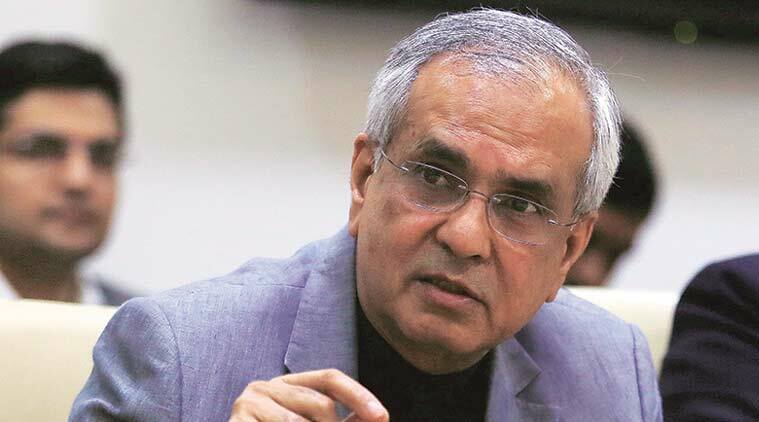 NITI Aayog Vice Chairman Rajiv Kumar’s criticism of Congress president Rahul Gandhi’s announcement on minimum basic income guarantee as a poll promise has prompted the Election Commission (EC) to send him a letter Tuesday seeking an explanation for his comments. Kumar had dismissed Congress’s promise of a minimum income of Rs 6,000 to the poorest 20 per cent households saying the party can “say and do anything to win elections”. The proposed Nyunatam Aay Yojana (NYAY), he told news agency ANI on Monday, would increase fiscal deficit. The Model Code of Conduct (MCC) forbids the use of “government transport including official aircraft, vehicles, machinery and personnel” for furthering the interest of the party in power, which is the BJP in this case. MCC, which has been in force since the announcement of Lok Sabha on March 10, ensures a level-playing field for all political parties and candidates fighting elections. “He is a public servant and ideally should not have made such a statement which is seen as working to the BJP’s advantage. His comments have been sought,” said a source. Kumar has been asked to respond in two days. Gandhi, on Monday, said if his party is voted to power, its government would roll out a minimum income scheme guaranteeing Rs 72,000 a year to the poorest 20 per cent of households. The Congress president described NYAY as a “groundbreaking idea” and the beginning of the final assault on poverty. The scheme is expected to entail an expenditure of Rs 3,60,000 crore a year given that there are roughly 25 crore households with five crore in the poorest category. “I think the fiscal deficit may increase from 3.5% to 6%. All the credit rating agencies may bring down our ratings. We may not get loans from outside and eventually, our investments might be blocked,” he added.